Meet the author Moe Williams in this short video by Harper Collins. 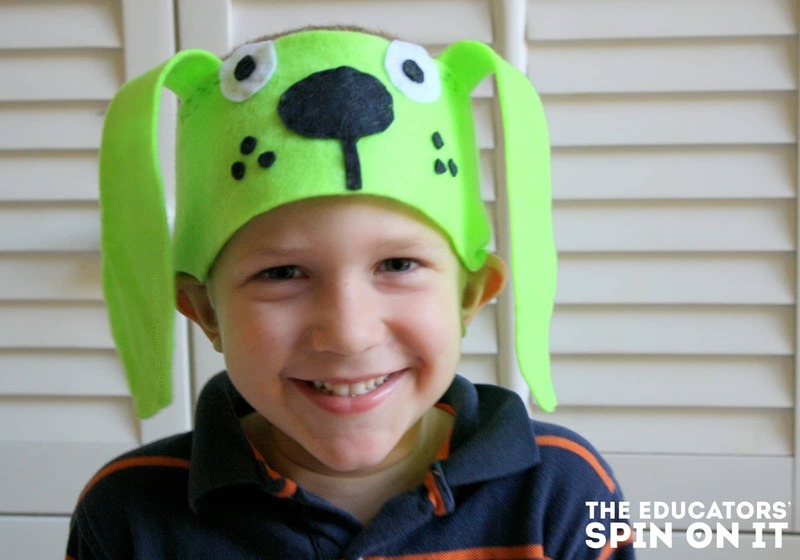 Find out where he learned to write children’s books, what important topics he likes to write about, and more! 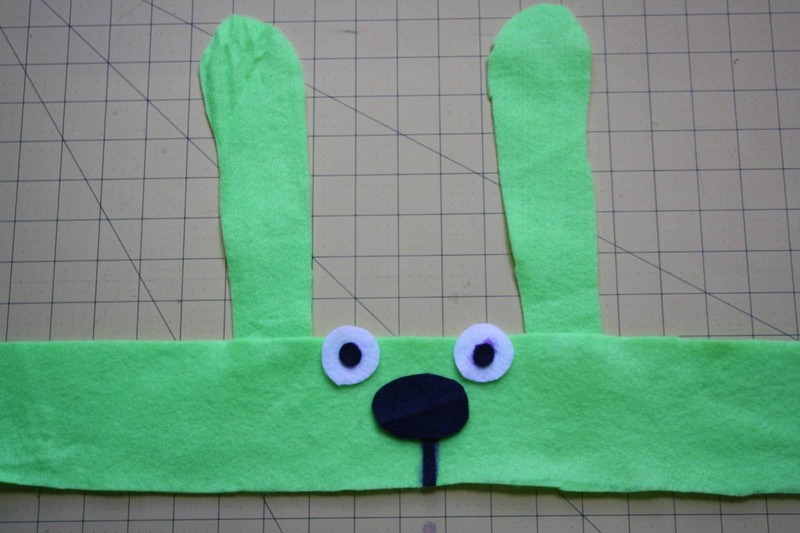 The following activity, DIY Bunny Costume Headband is a great way to tie literacy and life skills together into an at home project for grade school children. I supervise all sewing projects and help thread needles, otherwise, my 8 year old and 4 year old sew independently. Adults could of course make one as well. 1. 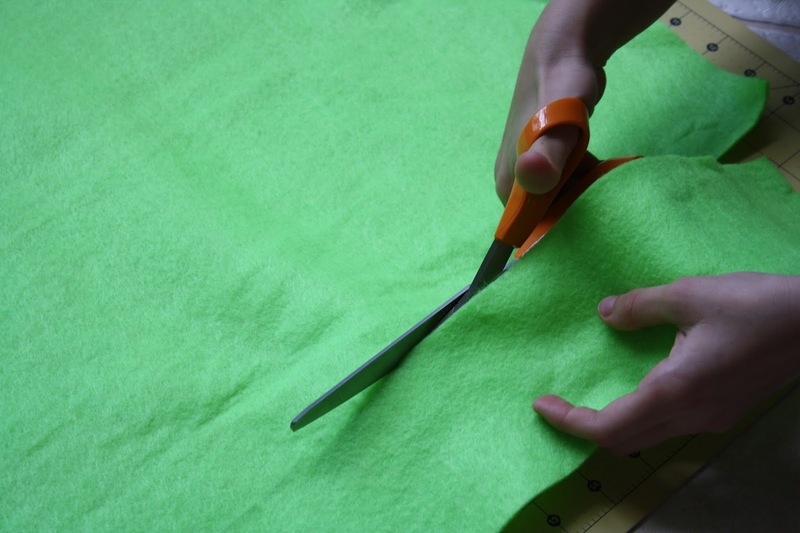 Cut a green felt rectangle 23 inches by 3 inches. This will fit most children’s heads. 3. Assemble the pieces in their places. Glue or pin in place. 4. 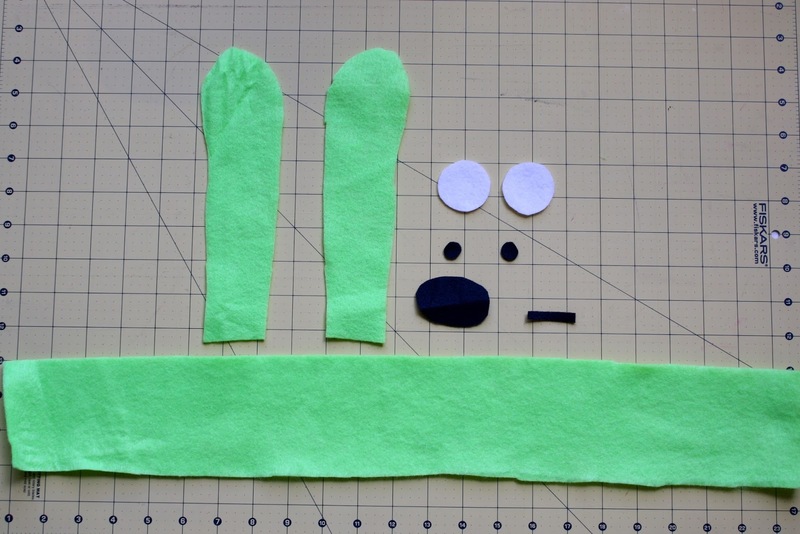 Using a straight stitch, sew the pieces together. Switch thread colors as needed. Match like colors if possible. 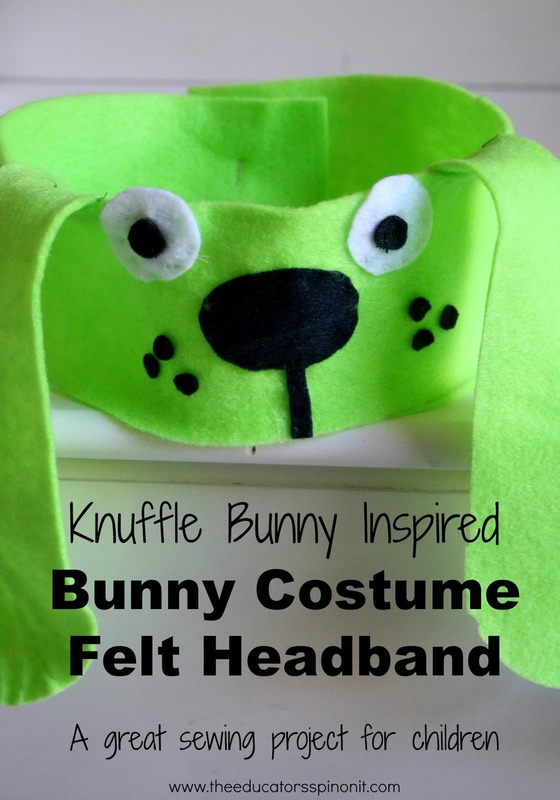 Now that you have made a Knuffle Bunny Headband, the kids can re-enact the story. One child (or you) can be Trixie, the little girl who lost her bunny at the laundromat. The other child can be Knuffle Bunny. It’s ok if your Knuffle Bunny speaks. Think about what his voice would sound like and what things he would say. 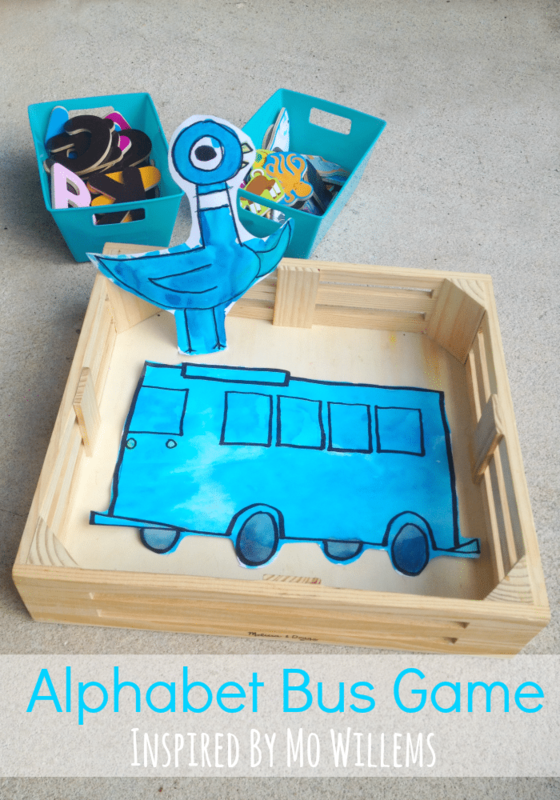 Let your children explore their creativity in the story retelling activity. 3. Do a book inspired craft or activity after you read the book. 4. Come stop by and tell us what you did here in the COMMENTS or over on our Virtual Book Club for Kids Facebook page! Leave a comment below for us if you’re joining us this year! SHARE YOUR ACTIVITY IDEAS on our Facebook Page or in the Comment Section. 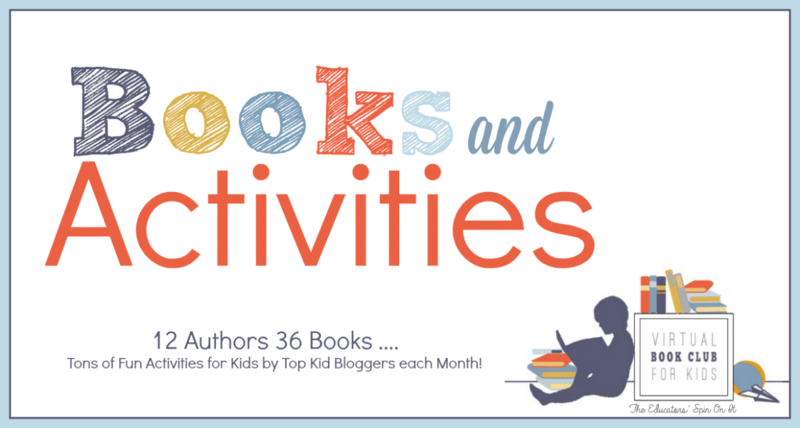 You’ll find even more ideas shared for Books and Activities by following along! That is absolutely adorable and I love how early sewing skills are involved – great fine motor! Can't wait to come over Amanda and have the kids recreate Mo Willem's story together. This is so cute! So excited that you've joined as co-host this year for the Virtual Book Club for Kids. Can't wait to see what you share! So cute and it would even make a great Halloween costume.